"If I could change one thing for the pets we share this world with, I would want them all to have happy, healthy homes. Although it may not be possible to help them all, I feel that caring for animals' medical needs and sharing my knowledge as a veterinarian helps to improve the quality of animals' lives." "One of the most important aspects of my job is to educate clients about the best care for their pets. There are so many people out there who truly love their pet, but don't always have the experience or information they need to do what's best. That's where I can help, as a veterinarian. Whether it's a medical, nutrition, behavior, or other pet care questions, I look forward to providing the information you need so you and your pet can get the maximum enjoyment possible out of your relationship." An education you and your pet can count on. 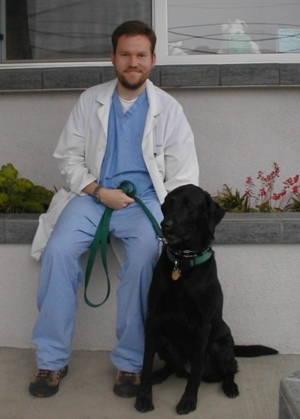 "The strong scientific background I received at Stanford and the excellent veterinary program at Davis prepared me to offer your pets the latest techniques being practiced in veterinary medicine." "I'm very happy to have Steve join our team - he has such an even-tempered manner that I feel it really helps to put the pets at ease. And don't let that calm demeanor fool you - he is very thorough and an excellent communicator as well. He's a real asset to our clients and their pets." "We love working with Dr. Randle. He's an excellent veterinarian and is a very easy-going, down-to-earth guy at the same time. 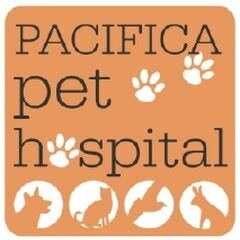 It's clear to all of us that he really cares about the animals and that he belongs here at Pacifica Pet Hospital." I believe that one of my most important duties as a veterinarian is to address all my clients' concerns and questions to the best of my ability. It's important to me to take my time to communicate with each and every one of my clients, because I want them to leave with a good understanding of their pets' issues and options. This way, they can make informed decisions, which is better for the pets AND the clients. It makes me happy when I see my clients' concerns and fears dissipate. Being a true general practice, being able to offer orthopedics, doing exotics work, behavioral pharmacology, all these things help our clients. When we offer a greater variety of services, do a good job at the services we offer, treat our clients with respect and our patients with the utmost of care, that's what gets me excited about being a veterinarian. I chose this profession because being able to offer something of value to the community was important to me. I'm proud to be able to make a living at a job that I enjoy, and that helps people and animals live better lives. "Young has been wonderful to work with, and our clients seem to really like him. His focus on client happiness, quality of care, and giving back to the community has made him a great addition to our team." ~ Dr. Gary Hurlbut. "Dr. Choi, he takes his time with both the people and patients, he always has a smile and great bedside manner, and this eagerness to continue to learn new things. He is an inspiration to us, and a joy to work with. He's even nice to the aggressive dogs! We're sure you'll love him too!" ~ Pacifica Pet Hospital Staff. Dr. Trief - Pic and bio coming soon!